Castellex name Biological plot in Germany, Novichok in Britain, increased interest in Castellex NBC life support systems. 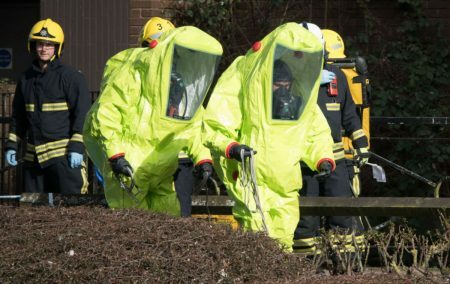 With concerns already raised by terrorist actions across Europe, the recent uncovering of a plot to use biological weapons in Germany and now Novichok hitting the streets of Britain for the second time, increased interest is being paid to the possibilities of installing NBC ventilation systems – lifelines at times of catastrophic events, more and more persons are actively thinking about their security and the security of those around them. Market leaders, Castellex NBC air filtration systems are designed for all eventualities, providing clean filtered air for safe rooms, bunkers and enclosed units ranging in size from the smallest one-family fallout shelter to large-scale doomsday bunkers capable of protecting large numbers of people over long periods. Whether industrial accident or deliberate act, whether chemical, nuclear or biological, Castellex Air350 or Air550 NBC air filtration systems guarantee effective fully autonomous operation designed to provide that critical lifeline in the worst case scenario. With multiple fail-safes, powerful backup batteries and optional power generators, continuous operation are ensured even the direst circumstances. Highly effective, yet realistic in terms of price and practicality. For a professional consultation, for specifications and for discussions regarding your tailored needs, we remain at your disposal.